Want seamless collaboration and unparalleled agility for patient care? Put down the phone and put on the Smartbadge. Get situational awareness through seamless integration with EHRs, medical devices, and other systems. Make and answer calls hands-free or use as a handset when privacy is needed. See patient information with calls and messages on the ample touch screen. Wear it on a lanyard or clip it to your shirt to talk hands-free; or hold it to your ear like any phone for more privacy. New audio technology allows smooth, natural conversation. Receive patient, event, and care team context with messages, notifications, and calls. Say the name, function, or group name of whom you want to reach to connect instantly. Get help in an urgent or emergency situation with the touch of a button. The Vocera Platform integrates with most clinical and operational systems used in hospitals. 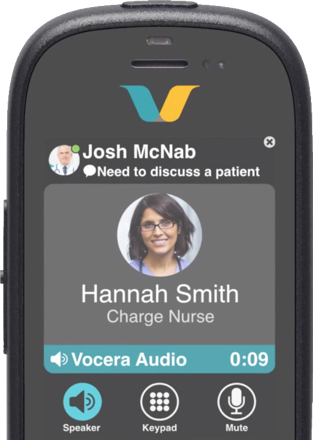 The Vocera Smartbadge helps care teams respond with agility and stay close to patients at the point of care. Make and answer calls hands-free. Send and receive secure text messages. 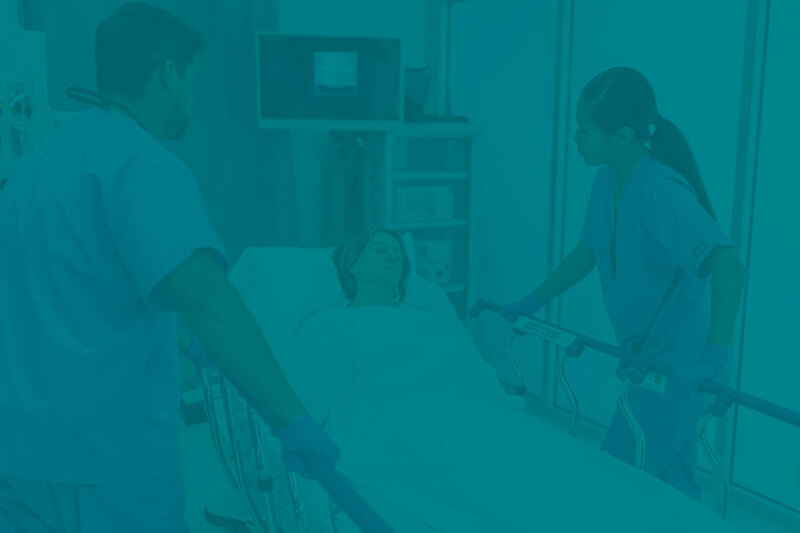 Receive prioritized alert and alarm notifications with patient information. Small and lightweight, the Vocera Smartbadge is purpose-built for the patient care environment and backed by defense-grade security. Ready to try the v5000 Smartbadge?